Our Advanced Wellness Plans are designed to help eliminate problems before they happen and make caring for your pet convenient and affordable. Consistent, quality healthcare is essential to your Pet's long and healthy life. AVMC is committed to providing excellence in care. All Pets are different, but they all benefit from consistent, comprehensive care. 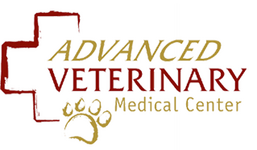 Each of our Advanced Wellness Plans provides veterinarian recommended care emphasizing disease prevention and early diagnosis, which is vital to your pet’s long-term health. The following information guide is a starting point to help you understand what wellness plan is best for your pet. Includes all treatments and procedures listed within Kitten Plan above. Includes all treatments and procedures listed within Kitten and Adult Wellness Plans above.